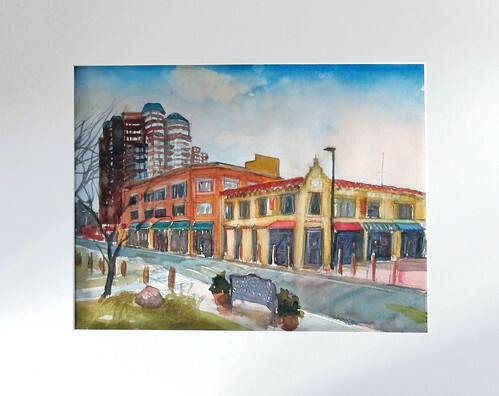 A local resident commissioned me to paint an 11x14 watercolor of the downtown Stamford area. 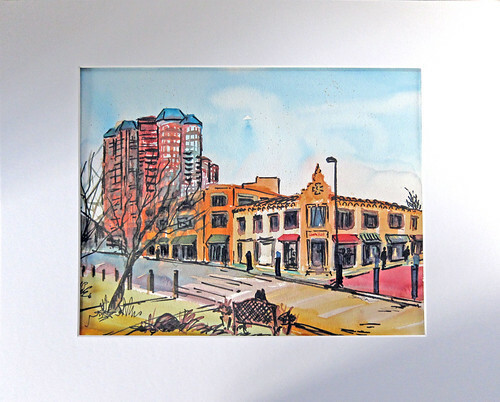 I did two versions in slightly different styles: one in watercolor with some watercolor pencil details and the other in an ink-over-watercolor technique. I rarely paint the same scene twice, so this was an interesting experience. The second one felt more spontaneous - it was as if my hand had "learned" the structure of the scene. The resident chose version 1. Which style do you prefer? I like the second one best. Sometimes a second go at something works because you have learned the structure of the buildings. Nice! !